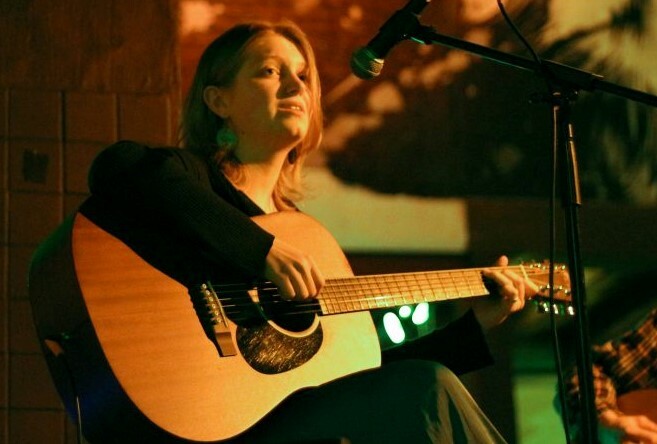 Folk singer-songwriter Erika Severyns has her New Room debut as part of our intimate lunchtime recital series, with delicate guitar melodies and witty lyrics that are yours to listen to. Erika Severyns writes mainly about boys that hurt her feelings. She gets a weird satisfaction from making people cry. She loves ABBA, Journey, and R. Kelly, but will tell you she listens to Joan Baez and Tom Waits because that’s what serious musicians say. That one white lie aside, she tries to be as honest as possible when writing her songs and sharing her music. Her folky songs will remind you of Joni Mitchell and other blond female songwriters. The recital starts at 1.30pm on Friday 22nd March. Concerts take place in the chapel after our lunchtime communion service at 1pm. Lunchtime recitals are free, with a retiring collection.